My little girl loves to hone her fine motor skills. 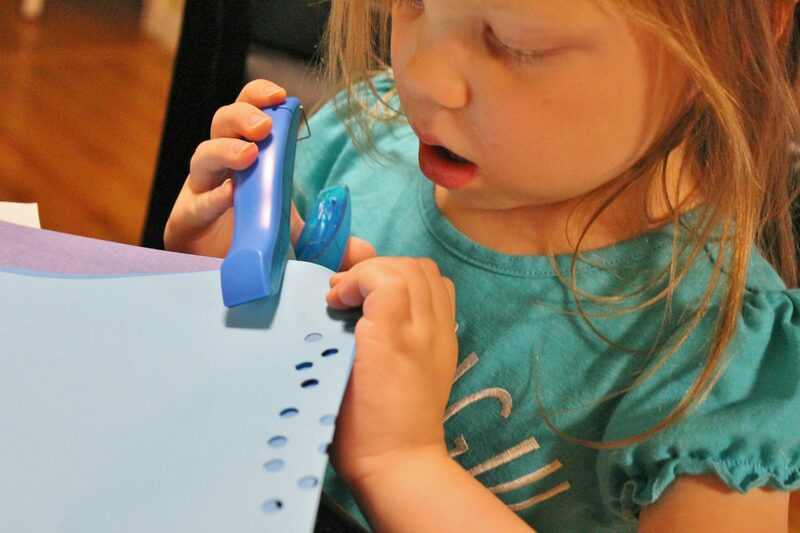 She is getting really good at using her scissors & she just loves our paper hole punch. She will grab pieces of construction paper & punch holes all over them. She loves playing with the collection of dots collected inside of the puncher too. 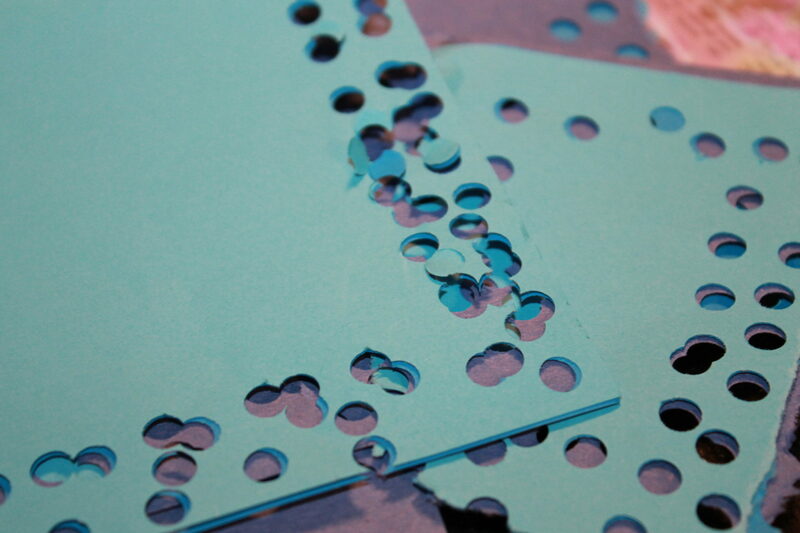 She punched a few sheets of blue paper the other day & collected all of the dots in a cup. It looked like confetti. 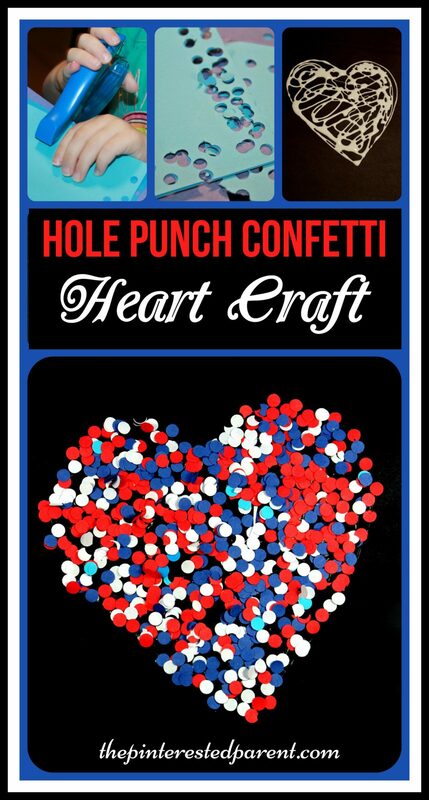 With the 4th of July nearing, I had her punch some red & white too & thought we could make a craft out of all of those holes. 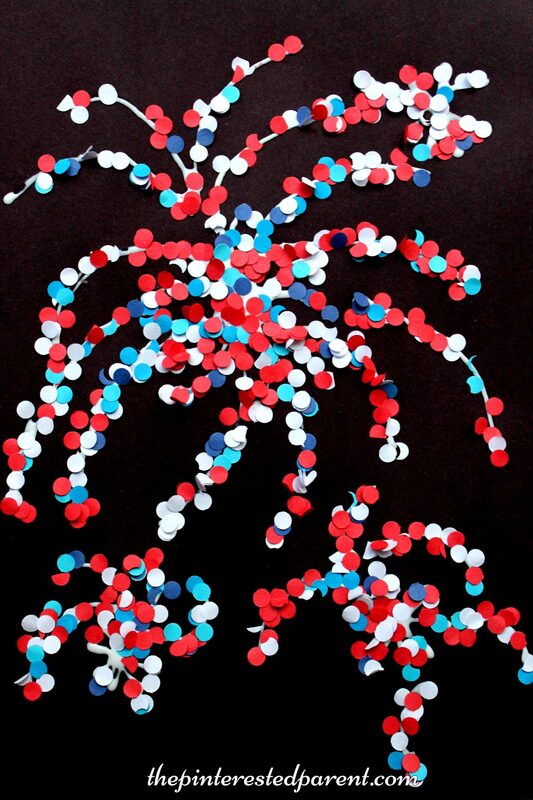 I drew fireworks out onto black paper with school glue & sprinkled the red, white & blue confetti over it. 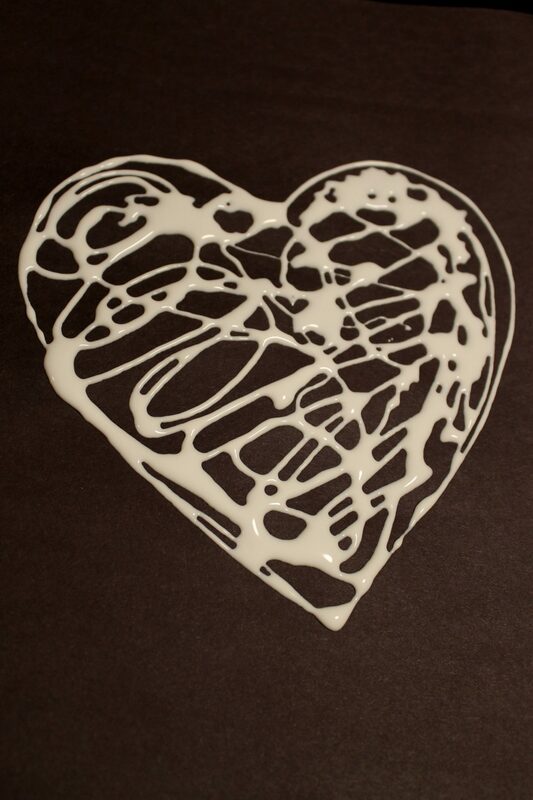 We tried this again using a heart shape. My daughter loved throwing the confetti around. 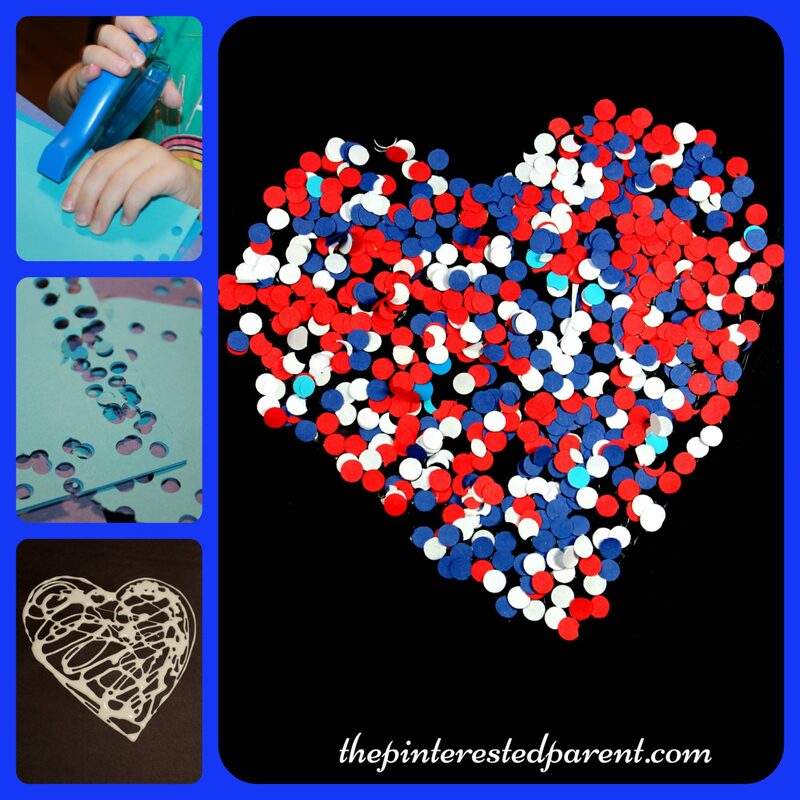 The paper dots made such a colorful & festive craft & they were so easy to make. We will start collecting all of our hole dots for future crafts. Memorial Day is next week & the Fourth of July is quickly nearing as well. 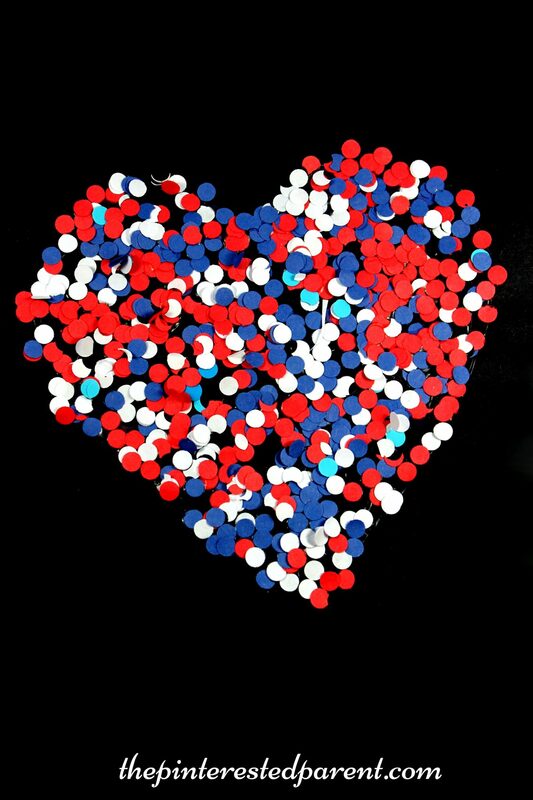 For the next few months, we will be all things red, white & blue. 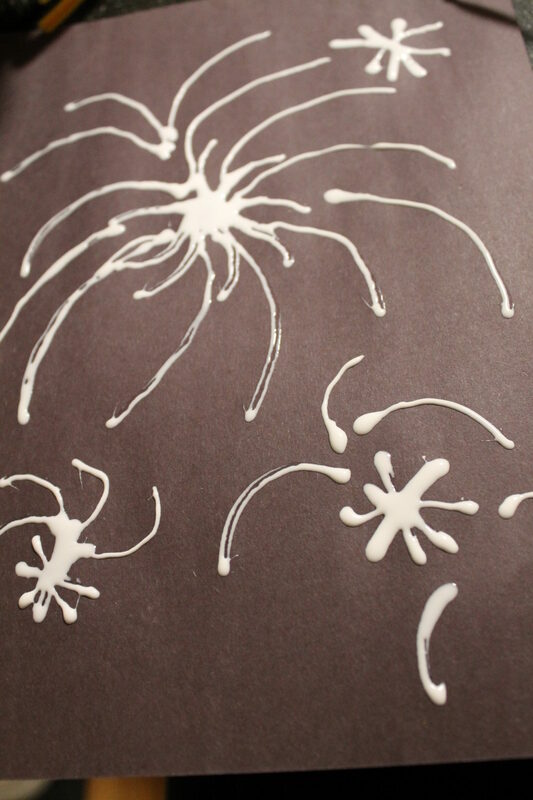 We just purchased a ton of canvas & had the perfect project for the upcoming holidays. There are 2 weeks left until the 4th of July and we are already enjoying the sounds of the holiday. I can hear the fireworks going off nearby & it makes me smile. 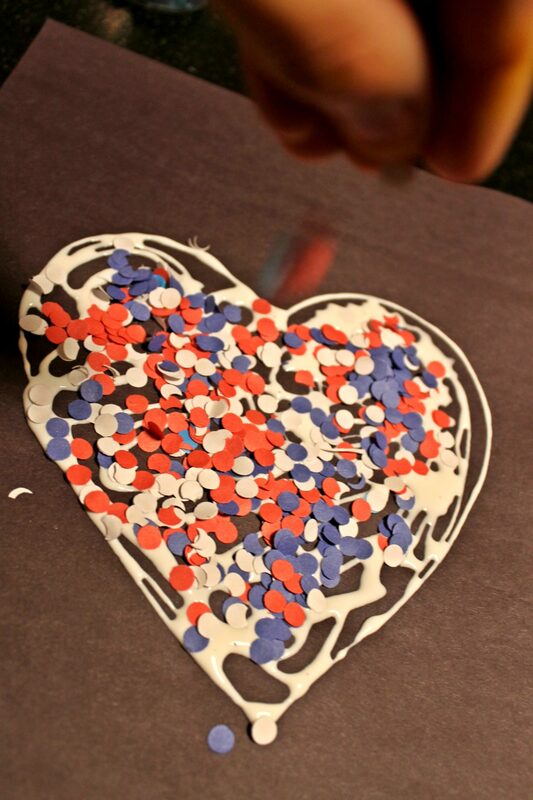 We have two more weeks of fireworks popping at night, two more weeks of everything red, white and blue and two more weeks of 4th of July crafting. 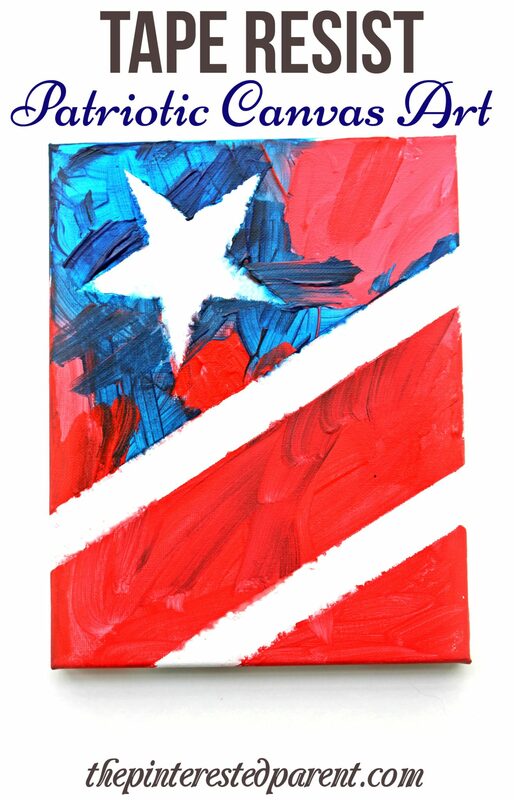 This is simple cardboard tube craft looks like a flag waving in the wind.